The Swiss pair of Nino Schurter and Lars Forster have clawed their way back to just over a minute behind ABSA Cape Epic leaders, Manuel Fumic and Henrique Avancini on the fourth stage of the mountain bike stage race. Schurter and Forster won stage 4, a 43km time trial around the Oak Valley Estate. Schurter and Forster needed a response after Wednesday’s hold-up which saw them concede the overall lead. They blitzed the time trial course to bank a minute and half, and reduce their deficit to the rece leaders to a minute and 13 seconds. Their winning performance on stage 4 saw them up to second place on the overall standings. Fumic and Avancini ran into technical difficulties, which meant they could not be as aggressive as they would have liked. The pair managed to secure second place, and retain their overall lead, but the stage is now set for gripping next few days racing. Meanwhile, there is no stopping Annika Langvad and Anna van der Breggen as they retained their perfect record in this year’s Epic with another stage win. Not even a crash could slow them down on the time trial, they’re now over 25 minutes ahead of South Africa’s Candice Lill and Adelheid Morath of Germany. 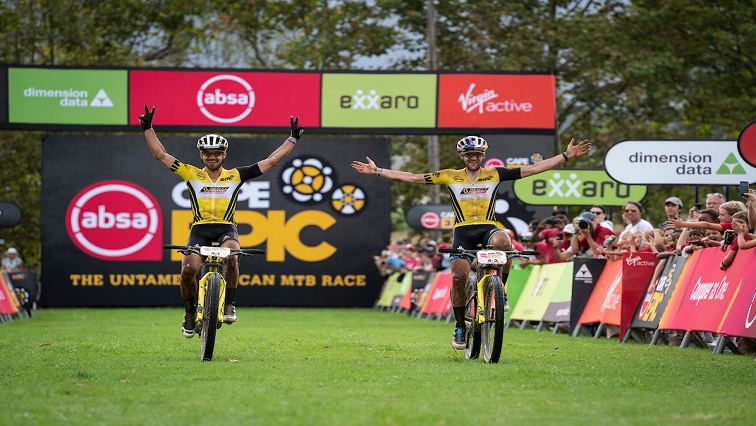 The post Schurter, Forster win Stage 4 of Cape Epic appeared first on SABC News – Breaking news, special reports, world, business, sport coverage of all South African current events. Africa's news leader..